THE B-MOVIE NEWS VAULT: Enter Comet TV's Latest Giveaway to Win a MONSTER SUMMER PRIZE PACK! Enter Comet TV's Latest Giveaway to Win a MONSTER SUMMER PRIZE PACK! THIS SUMMER, JOIN THE VAULT AND COMET TV FOR A GIVEAWAY OF MONSTROUS PROPORTIONS! UPDATE (06/26/2018): Congratulations to Dominica Grace Zampedro from Ohio for winning this awesome prize pack from Comet TV! Thanks to everyone who entered - be sure to try again during Comet TV's next big giveaway! Do you hear that Vault Dwellers? It sounds like… A… ROAR! Every weekend starting on Memorial Day and stomping all Summer long until Labor Day, COMET TV is bringing the heat with Godzilla, Reptilicus, Mechagodzilla, and even a few Astro-Monsters for good measure! But we’re not going to leave you without a little something to beat the heat… We want to give you the opportunity to have an awesome summer of your own! The COMET TV Monster Summer Prize Pack is perfect for catching some rays or stopping a fire breathing beast! We're keeping this super simple gang: Just copy the link to this post and share it on Facebook or Twitter, using the hashtags #CometTV and #MonsterSummer! 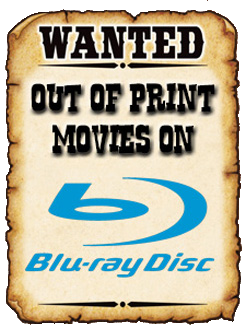 And don't forget to tag The B-Movie Film Vault as well so we can keep tabs on who's taking part! One winner will be picked at random on June 19th and will be contacted ASAP for their mailing address! Each household is only eligible to win a Monster Summer Prize Pack via blog reviews and giveaways. Only one entrant per mailing address per giveaway. If you have won the same prize on another blog, you will not be eligible to win it again. Winner is subject to eligibility verification! Giveaway open to U.S. entrants only! 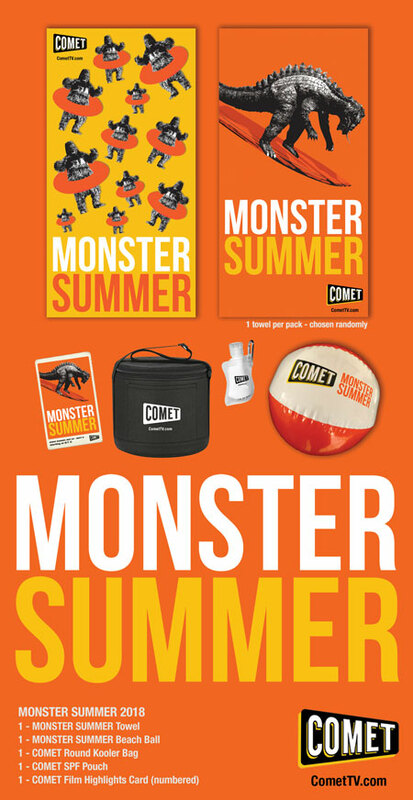 1 - COMET TV Monster Summer SPF Pouch: Beat the rays with this Monster Summer SPF pouch. Apply liberally to ward off the sun, THE BEAST FROM HAUNTED CAVE, RODAN, or any other variety of lizard-like beast. 2 - Exclusive COMET TV Film Cards: See what COMET TV has this month, with these collector’s cards. Perfect for the Godzilla fan, the Monster-man, or the COMET TV junkie in your life! Every Sunday evening throughout the Summer, Comet TV is airing a double-header of classic monster movies! The first film each night features everyone's favorite giant fire-breathing lizard while the second is guaranteed to star some lesser-known beasts! The Godzilla films featured run the gamut from his 1954 debut GOJIRA, to the silly SON OF GODZILLA, to the kaiju overload of DESTROY ALL MONSTERS. As for the other monsters featured, you can look forward to campy classics like the King Kong/Frankenstein hybrid KONGA, the Korean Godzilla equivalent YONGARY: MONSTER FROM THE DEEP, and the legendary — thanks to Mystery Science Theater 3000 — REPTILICUS! To see what's airing every Sunday night, scroll on down! Once again, this giveaway is ending on Tuesday, June 19th, so start sharing this post on social media and cross your fingers fellow lovers of giant monster cinema! Also, let's all issue a huge thanks to COMET TV for ponying up the prize pack for this contest, and for making Sunday nights awesome again! Be sure to visit them online (HERE) to watch their programming, see what's scheduled, and keep up to date on the latest Sci-Fi/Horror movie news!